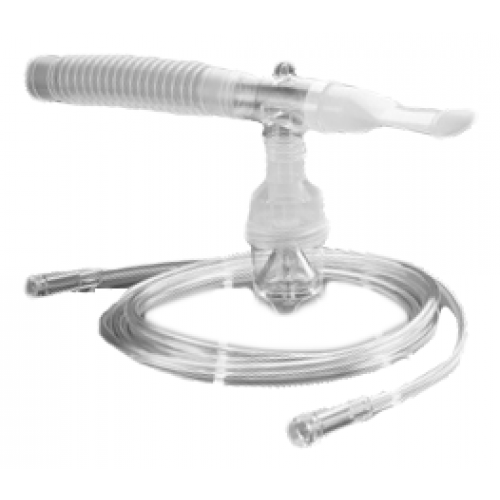 Small Volume Jet Nebulizers, manufactured by Salter Labs, are capable of nebulizing 3 cc of medication within 10 minutes or less in a horizontal or vertical position. Designed to reduce nebulized medication delivery times, this allows patients to comfortably take their medication without much hassle. Cost-effective and innovatively designed, Salter Labs Jet Nebulizers are premier products for hospitals, clinics or personal home use. The anti-drool "T" design helps prevent contamination from patient saliva. The larger surface area provided by its unique convex cone design maximizes dispersion and minimizes medication waste. Removable "cone" design is color coded for convenience in cleaning and reassembly. Scalloped, bottom cuff design simplifies attachment to the compressor. How many uses is this nebulizer good for; a couple weeks w/ 2 or 3 uses a day? We cannot make any recommendations on how to use products on our site. It's best to speak with a medical professional for proper instruction. I knew exactly what I wanted including REF number and this was a perfect match at a decent price. I was not surprised that the product delivered was exactly as disclosed on the website but was pleasantly surprised for the expedient timing of the delivery. Could not be more satisfied with the professional service. Hav been using Salter Labs Small Volume Nebulizers for almost two years and have never had any problems with them. They are a quality product. Love this nebulizer! My husband has ALS. 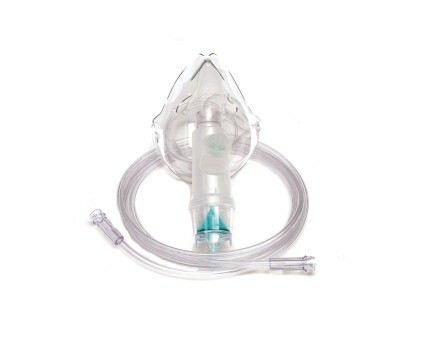 The nebulizer comes with adaptors we can use it on my husband's trach, and works with his respironics compressor. It is very fast, very efficient. Best nebulizer we've tried! And great price, too.